Air Transat has dropped the price of their January and February 2019 flights from Toronto to Orlando, Florida down to between $223 and $248 CAD roundtrip including taxes. Mar 22, 23 to Mar 29 -- new! Apr 12, 13 to Apr 19 -- new! The price should show up as between $176 and $197 USD which will work out to $223 to $248 CAD roundtrip including taxes when booked with a Canadian credit card, including the typical 2.5% foreign exchange fee. Where can I find discounts on Disney World and Universal Orlando tickets? Undercover Tourist is the website people mention the most often as the best place to find discounts on Disney and Universal tickets. 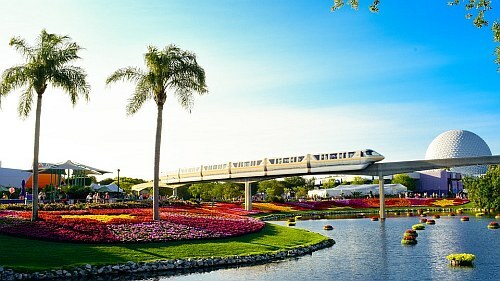 toronto, yyz, flight deals, air transat, united states, orlando, florida, mco and north america. 2 Responses to "Toronto to Orlando, Florida - $223 to $248 CAD roundtrip including taxes | non-stop flights (2019 travel)"
So got this deal! Thanks!! No problem Sharlene, glad it helped!